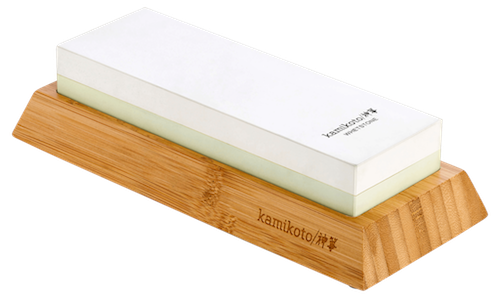 The perfect way to store your high-grade Honshu steel Kamikoto 神箏 knives. 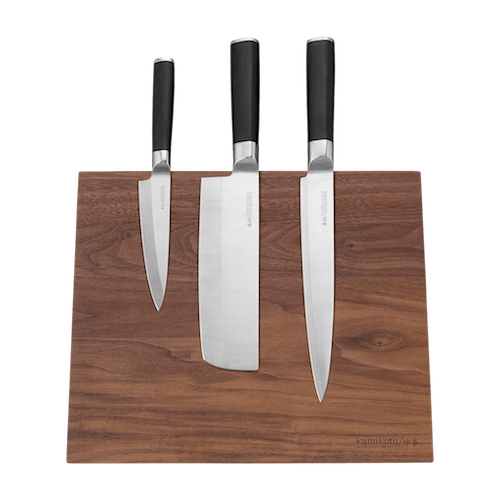 The Kazoku Knife Block is made of ash wood that has been thermally-treated – held over fire in temperatures up to 390 °F – infusing the wood with dark tones and rich, smoky aromas. The Kazoku Knife Block houses a powerful magnetic core for your knives to attach to the block safely and securely. Designed to live on your countertop, the Kazoku Knife Block can store 4-6 knives. 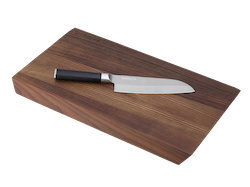 The deep walnut-colored tones of the ash wood provide a perfect complement to any Kamikoto 神箏 knife collection. 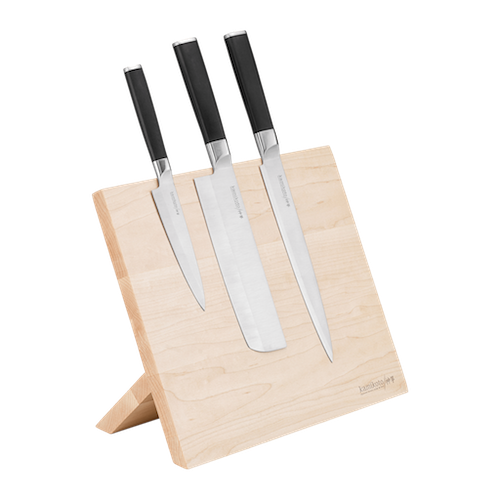 *Knives are for display only, and not included with the Kamikoto Knife Block set.